Home » News » Indian Motorcycle’s 1 in 50 promotion. Indian Motorcycle is back with its Weekend Escape and it’s giving you a one in 50 chance to win the price of your new bike back. The promotion allows you to take an Indian Motorcycle of your choice on a two-day test ride. The company even provides an accomodation voucher and a full tank of fuel. The initiative gives riders a much greater opportunity to experience the bike on a trip that emulates Indian Motorcycle ownership. If you fall in love with the Indian and buy one, then you get the chance to win back the whole cost of your bike. The offer applies to both new and demonstrator-models. The contest will run until the end of September or until 50 qualifying Indian motorcycles are sold in each showroom. According to OzLotto, the chance of winning 1st Division is 1 in 45 million; the odds of winning an Olympic medal are 1 in 662,000 – and that’s only if you are any good! Ultimately, the odds of winning big are low. 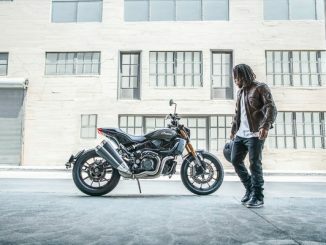 But, with a new competition just released by Indian Motorcycle, the odds have just got better! There is one brand-new Indian Motorcycle to be won from each of our dealerships in Sydney, Melbourne, Brisbane and Perth. The best test-ride offer in Australia just got even better! The Indian Motorcycle Weekend Escape Test Ride already offers customers the opportunity to take the bike for the night, with a full tank of fuel and an accommodation voucher, guaranteeing quality time with the bike – creating the ultimate test experience. Now with the 1 in 50 competition just launched, all you need to do is experience the Weekend Escape on us, and if you fall in love with the Indian and buy one, you may well win back the whole cost of your bike. The odds are great and they apply to both new and demonstrator-model Indians sold. What are you waiting for? There’s never been a better time to book your Weekend Escape and become the proud owner of a stunning Indian Motorcycle – which might cost you nothing at all. Learn more about Indian Motorcycle by visiting 1in50.com.au and Facebook.